How do you characterize the evolution of Romania’s e-commerce market in recent years, from the GPeC point of view? In the 13 years of the GPeC, we have had over 1,000 online stores participate in the GPeC Competition, and we have noticed their evolution from websites that did not respect any usability principles to websites that were better built than many worldwide sites. Of course, nothing is perfect, and there is always room for optimization to increase conversion rate, but the difference is significant and visible to the naked eye compared to previous years. We hope that we have also contributed significantly to improving the quality of Romanian e-commerce websites through the standards promoted within the GPeC Competition, and we continue to do this every year. As for the e-commerce market, we are talking about a market estimated at 2.8 billion euros last year (excluding e-tail), a market of approximately 7,000 online stores, a market in which the segments of Fashion, Beauty, and Home & Decor are growing spectacularly, a market still permissive for new online stores, and a market on a 30-35% growth trend each year. If I should describe the e-commerce segment in two words, I would say: present and future. How would you characterize GPeC in one sentence? E-commerce 360 ​​degrees, 12 months a year. GPeC is a one-stop shop for anyone interested in e-commerce because they can find everything about online commerce with us. What are the keywords of this year’s edition? Why were they chosen? Crafted to Inspire – and this phrase was chosen because the 2018 GPeC is inspirational to anyone who works in e-commerce or is an early-stage entrepreneur who wants to start an online business. At the GPeC SUMMIT on May 29-31, 2018, we’re bringing Brian McBride (ASOS President), Jeff Bullas (# 1 Global Content Marketing Influencer), and Peep Laja (CEO ConversionXL) to Romania for the first time. And they are just three of the eight legendary international speakers we have prepared. 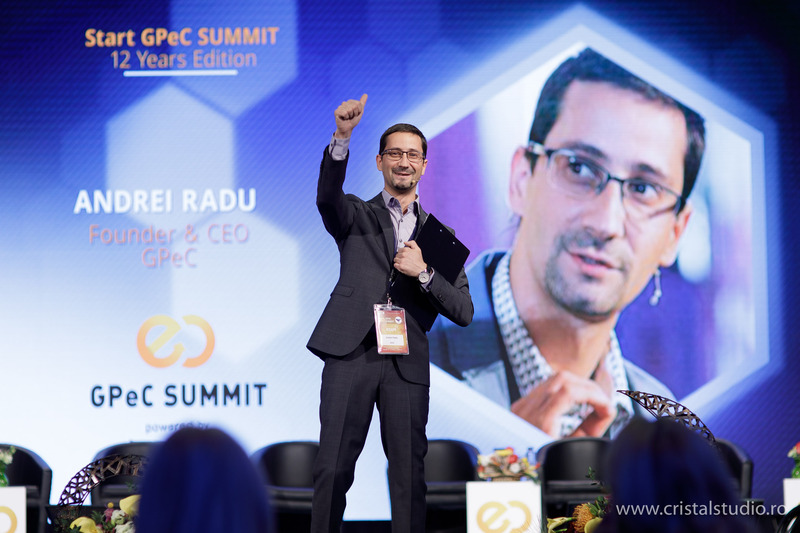 All GPeC SUMMIT participants will find inspiration in the topics raised by some of the best Romanian and international speakers. Over the three-day event, the following themes will be detailed: Market Figures, Usability, Conversion Optimisation, Content Marketing, Social Media, SEO, Google Analytics, Google AdWords, Artificial Intelligence & Machine Learning, Online Marketing, Mobile, Customer Satisfaction, and Logistics. In addition, all stores choosing to join the GPeC Competition will find inspiration in auditing reports to refine their websites and increase conversion rates while providing a pleasant shopping experience for their users. For anyone interested in e-commerce, GPeC can provide concrete answers to effectively help your business. How would an event of this magnitude be translated into figures? The team includes five full-time members plus five collaborators. As far as I am concerned, a minimum of 10 hours of work per day, with 19-hour pick-ups around the GPeC events. The 2017 GPeC edition involved sending 4,928 emails and making 1,440 hours of phone calls. What have the 12 editions you have organized up to now mean for you personally? Each GPeC edition is prepared at least six months ahead and reflects feedback from previous editions, as well as our desire to deliver premium, relevant content. For 2018, we think we have the best speakers so far at a GPeC SUMMIT, while in the Online Store Competition we have introduced the latest industry trends, including an online trader compliance package with the GDPR standards that will become enforced on May 25th. Everything we did in the last 12 years was done to the best of our abilities, even if, obviously, no GPeC edition has been perfect. All the editions so far have meant a lot of passion, a lot of work, and maybe a small dose of “madness.” Every year the ambition is to organize the best edition ever. What is the GPeC component that makes it unique to e-commerce events? The Online Store Competition, which we have been organizing for 13 years and features the entire process of auditing e-commerce websites, is unique in Romania and is rarely encountered around the world in terms of the audit’s complexity. At the international level, there are also events that award prizes to online stores, but the evaluation process is much more relaxed, with only a few grading criteria and many subjective issues. Many stores don’t enter to win a competition trophy but to have a full website audit performed by over 25 e-commerce and online marketers, the members of the GPeC jury, who evaluate the online shops according to over 200 auditing criteria. Many of the stores have confirmed that following the implementation of the jury’s recommendations, they have managed to significantly increase their conversion rates, and some have even doubled. The GPeC E-Commerce Summer School (five days of intensive e-commerce and team building) is a unique project among e-commerce events in Romania. It’s like a boot camp that combines content delivered in workshops, 1-to-1 discussions between participants and trainers, and team building with the participants. Throughout the year, we support e-commerce and digital marketing along with our DallesGo colleagues with open courses, as well as through closed courses for companies. Last year, we launched GPeC Trainings – through which we want to deliver workshops dedicated to the e-commerce community across the country. The pilot edition took place in Cluj-Napoca for three days and was a big success, with the 50 seats available for courses selling out. This year, the participants can decide in which city they want to attend GPeC Trainings, choosing between Cluj-Napoca, Timisoara, or Iasi, and we already have requests for Cluj too. 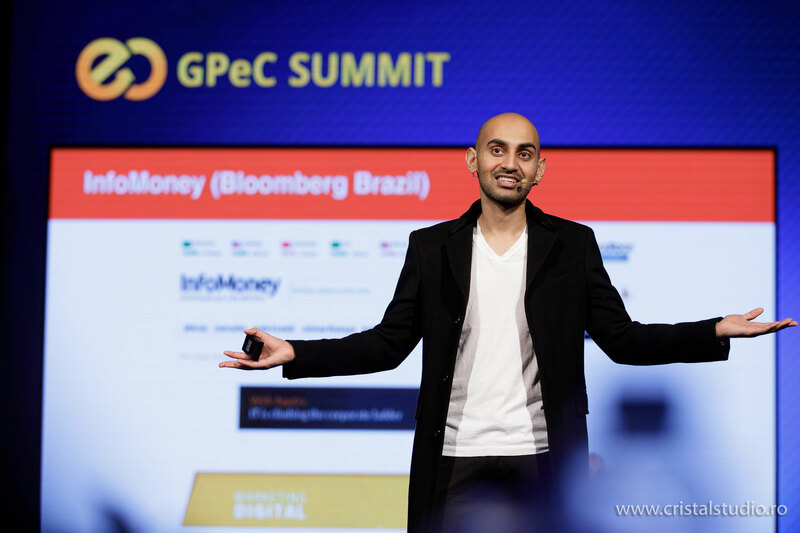 Every year, we hold two major events for the e-commerce market: GPeC SUMMIT Spring Edition (May – three days) and the GPeC SUMMIT Autumn Edition (November – two days). The two events are the perfect mix of conference content, workshops, masterclasses, e-commerce expo, and premium networking with the e-commerce elite amid over 1,000 unique participants in each edition. Every annual GPeC edition ends with the Anniversary Awards Gala, celebrating the GPeC Competition-winning online stores and rewarding the efforts of the market players who have achieved notable results during the year. Last but not least, it is the community (the largest in e-commerce) and the relevance of the GPeC events. Our goal has been, and will remain, to deliver quality content. We are the provider of market figures, periodically conducting market research and blogging about e-commerce, offering companies relevant information to help them grow their business. We have dedicated ourselves over 13 years to this industry, without any secondary projects, with nothing else to distract our attention from what we love to do. I firmly believe that you cannot excel in more than one field, and we want to excel with GPeC in e-commerce. Until April 20, 2018, the price of GPeC SUMMIT access tickets has been reduced through the Very Early-Bird Offer to just 119 EUR/person for all three days of the event.